A Month Before Your Moving Relocation Service - Are You Stressed? Before you relocate to a new destination, these moving hacks will help you save both time and money. First, you have to become organized. Depending on how many family members in your household, will determine what task each is going to be. Everyone who can work should work. More hands on deck mean getting ready for an easier move! Moving by itself is more than just stressful, so everyone has to be on the same page. Once you have your workforce together, start in the garage if you have one. If you don’t have one a spare bedroom or family room will do. The garage will be your storage area for all the boxes that will get packed around the rest of the house. Keep all walkways and hallways clear of any obstructions to make it easier to work and live in your house until the relocation date. Before any packing is started, you will have some tough choices to make. What to keep, what to sell, what to give away and what to throw away. There are many local charities that will pick up items at your house; still, its good to be aware of bulk pickup dates as not all items will be accepted, so be ready for a pile. Once all the sorting is completed its time to start packing. As we suggested before, the garage will be first to be packed. However, keep in mind that if you have appliances in the garage such as a refrigerator or a washer or dryer, you will need access to these items until you move. That being said, anything that isn’t necessary can be stacked neatly as many other items. 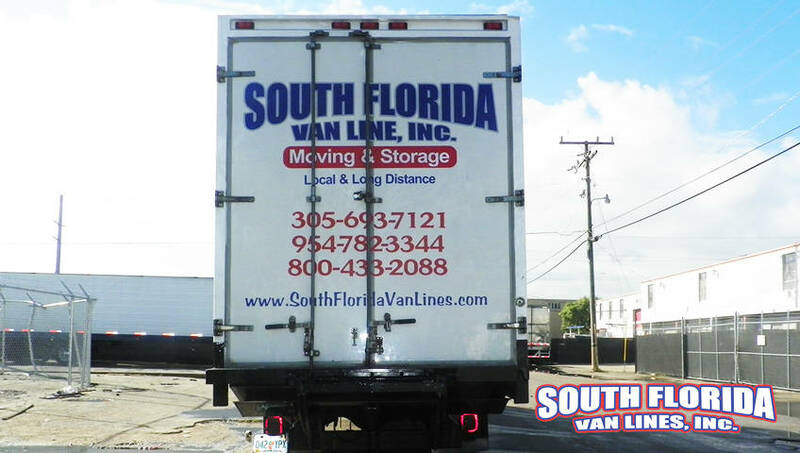 You will receive up to 20 boxes and tape free of charge from South Florida Van Lines. However, you will need to purchase packing paper or bubble wrap material if necessary. Another alternative could be that the company will include these packing charges in their written estimate and bring them the day of the move. You should use boxes made for moving as used boxes tend to be weaker and supermarket boxes can be home to bugs. New boxes are also sold at many other locations such as Walmart, Home Depot, and most storage facilities. When packing, take into consideration that all boxes have a weight limit. Books should get packed in small boxes, whereas clothing can go in larger ones. Moreover, they should be packed to the top to prevent crushing, and of course, fewer boxes means budgeting and cost-effective. Include labels in each side of the box using magic markers as visibility is essential for easy finding. Ready to move your items? Contact us now 305-912-2338 Online FREE quote.